Quality Vision Home Inspection, LLC is the areas’ premier home inspection company, and since our inception we have been helping homeowners & sellers by reducing the stress in buying or selling. Through our extensive knowledge of the business, network of resources, and expertise, we are able to assist homebuyers & sellers with a wide variety of inspection solutions. We pride ourselves on our reputation for working one-on-one with each customer to handle their individual situations. Our mission is to provide the highest quality inspection services to our clients while taking the time to educate and assist them in understanding the current condition of the property along with a clear expectation on how to maintain the properties value in the future. Our strengths lies in educating home buyers, especially first time home buyers, as well as providing the knowledge needed for to make the right improvements when marketing their homes. So ease the transactional worries and allow us to provide you with the information that will bring the peace of mind that comes from knowledgable informed decisions. 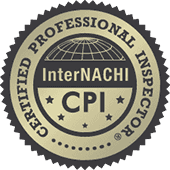 Quality Vision Home Inspection, LLC is truly committed to helping each individual customer. We focus on fast response, integrity and over-delivering on customer service. By putting the customer’s needs first, whether selling or buying a home, we can help you realize your real estate goals.